If you are looking to improve your driving skills, this course is for you! It will help you prepare for the unexpected and will give you an awareness of the limits of the car and yourself. We take the same techniques we teach in our racing programs and apply them to street driving, at street speeds, to make you a safer driver. The program emphasizes safety, awareness and precision in driving. You learn a great deal about car control, vehicle dynamics, eye technique, safe braking, ABS braking techniques, advanced cornering and skid correction. 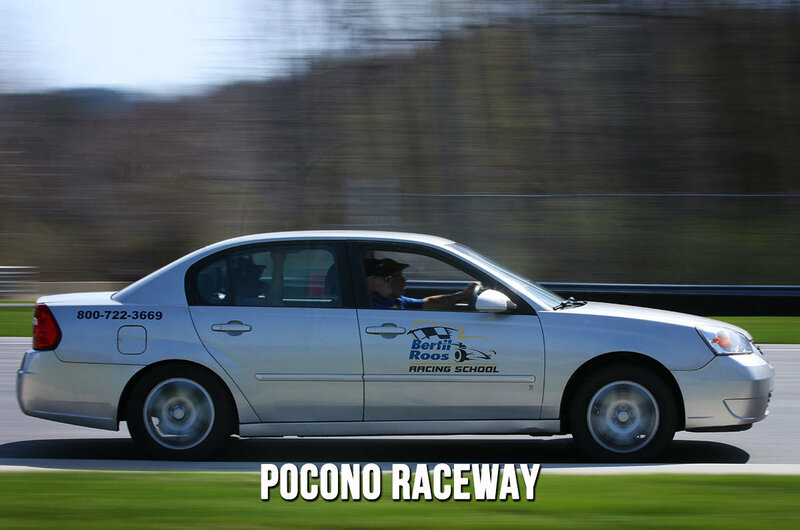 The program is taught in our street cars and Slidecars on Pocono Raceway’s twisting road racing circuit. This allows us to perform drills that could not be done on public roads yet provides an actual “road” for a very real feel.